Former Vice President Joe Biden denounced the current administration's handling of issues including immigration on Friday night, saying in a speech in Arizona, "We're in the midst of an all-out assault on human dignity." Biden was addressing the League of United Latin American Citizens at an event in Phoenix, where he said "grotesque lies about immigrants and policies that rip babies from their mothers' arms carry echoes of the darkest moments in our history." "Not only are they a national shame," Biden added, "they tarnish the very idea of America and diminish our standing in the world." It's not the first time Biden has criticized the administration or President Donald Trump. In February, the former vice president said Trump was "a joke" and that his criticism of the FBI was "just a disaster." A month later, he said if he and Trump attended the same high school, he "would have beat the hell out of him" for disrespecting women, adding: "I've been in a lot of locker rooms my whole life. I'm a pretty damn good athlete. Any guy that talked that way was usually the fattest, ugliest S.O.B. in the room." 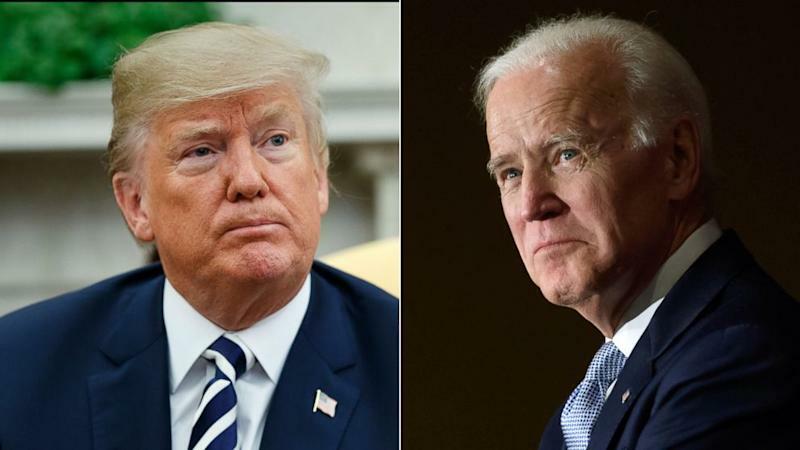 Biden later walked back the comment, but not before Trump responded on Twitter that Biden was "weak, mentally and physically" and he "would go down fast and hard, crying all the way." On Thursday, the president said in a CBS News interview, when asked against whom he'd most like to run in 2020: "I dream about Biden." Later in the interview, as reported by the Associated Press, Trump said Barack Obama took Biden "out of the garbage heap, and everybody was shocked that he did. I'd love to have it be Biden." A Biden spokesperson declined to comment at the time. In his comments on Friday night, the former vice president also criticized the administration's "betrayal of the Dreamers," Trump's pardoning of Sheriff Joe Arpaio, underfunding schools, attacking organized labor and neglecting Puerto Rico in the wake of Hurricane Maria. He encouraged those in attendance "to vote, to raise up your voices and, especially, to run for office" as "we fight to preserve the promise of a proud, inclusive middle class." "I was raised by a man -- my father -- who believed with every fiber in his being that everyone -- everyone -- deserves to be treated with dignity," Biden said. "We're in the midst of an all-out assault on human dignity. Yes, at the border, but also in the courtroom, in the classroom and on the factory floor."